Former AC Milan coach Arrigo Sacchi, who never played football professionally, once famously remarked when quizzed about his coaching qualifications: "I never realised that in order to become a jockey you have to have been a horse first." Porto coach Andre Villas-Boas never played football professionally either - instead devoting himself at an early age to studying the science of coaching. By the time he was 17, he was already attending Uefa coaching courses at the Scottish Football Association's renowned Largs centre. If he was a coaching prodigy, Villas-Boas was also a risk taker, taking charge of the British Virgin Islands for two international matches in 2000. Both ended in defeat. Two years later, Villas-Boas became part of Jose Mourinho's backroom staff at Porto, following him to Chelsea and then Inter Milan. His scouting reports were legendary for the detail he provided about the opposition. In 2009, Villas-Boas moved out of Mourinho's shadow, landing his first coaching job at Academica in Portugal's top flight. When he was appointed in October, the club were bottom of the table and without a win. By the end of the season, Villas-Boas had led Academica to league safety and a League Cup semi-final. Porto president Pinto da Costa has previously said that appointing Villas-Boas as the club's coach was a gamble - but it was one that paid off spectacularly. Last season, Porto won the Portuguese Supercup, the league by a margin of 21 points without losing a game, the Europa League with a 1-0 victory against compatriots Braga and the Portuguese Cup, thumping Vitoria de Guimaraes 6-2. "When you start off working at such an early age, you can't hide behind the name of being a former professional," top European scout Tor-Kristian Karlsen told BBC Sport. "You have to continuously impress and succeed and the only way you do that is by having an edge. "That means you have to be extra meticulous and theoretically strong. I also think it is much easier to assimilate academic and theoretical ideas when you are younger than than when you move into management after a playing career." Karlsen also believes the 33-year-old's backroom experience at top European clubs - just as Mourinho worked under Sir Bobby Robson at Barcelona - has been key to his meteoric rise. "That background has given them both a real edge as coaches," added Karlsen. "They have been able to work in the background of really top clubs where they have been given an awful lot of responsibility. "Neither Mourinho nor Villas-Boas would have been just moving cones. They would have been learning about people and how to deal with egos. That is not knowledge that you acquire from reading a book - you only get from that dealing with real-life situations." So what can Chelsea fans expect if Villas-Boas does take up Chelsea's offer? "Probably a continuation of the 4-3-3 favoured under Mourinho and, broadly, Carlo Ancelotti, but a much more attack-minded approach than Mourinho," said Michael Cox, editor of the online blog Zonal Marking. "In the press conference after the Europa League final in Dublin, Villas-Boas paid tribute to Barcelona coach Pep Guardiola, saying how much he admires the style of football at Barca and also almost apologised for winning that final in a scrappy game, saying he wanted to put on a show." There is a brutal efficiency about Porto - the defensive organisation, the tempo of play, the speed of transition to attack. It is as if the players are almost remotely controlled by Villas-Boas. But with the exception of the gifted Colombian striker Falcao, there is not much beauty on offer - Porto have ruthlessly demolished the opposition at home and abroad. "Compared to Mourinho, Villas-Boas is certainly more attacking. It is functional in that is based on collective movements and patterns, but there is room for improvisation and freedom," added Karlsen. "If you are going to be successful with a team that has lots of South American players, you have to be flexible. It is not necessarily Guardiolaesque, but it is more positive. "Compared to Mourinho, Villas-Boas is less about show and deflecting attention. But he is also very reflective and full of interesting ideas." 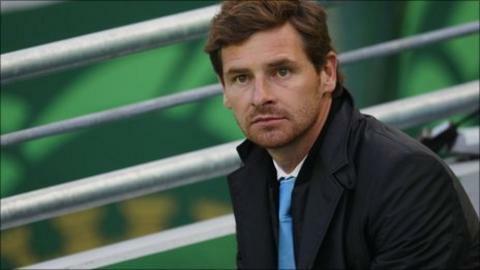 Villas-Boas' coaching pedigree suggests he will be successful wherever he goes. The question is whether he can replicate Barca's style, which he says he so admires, with the next club he manages.